Photographer Deney Tuazon and filmmaker Gregory Pacificar, come together to create The Malaya (Free) Project. 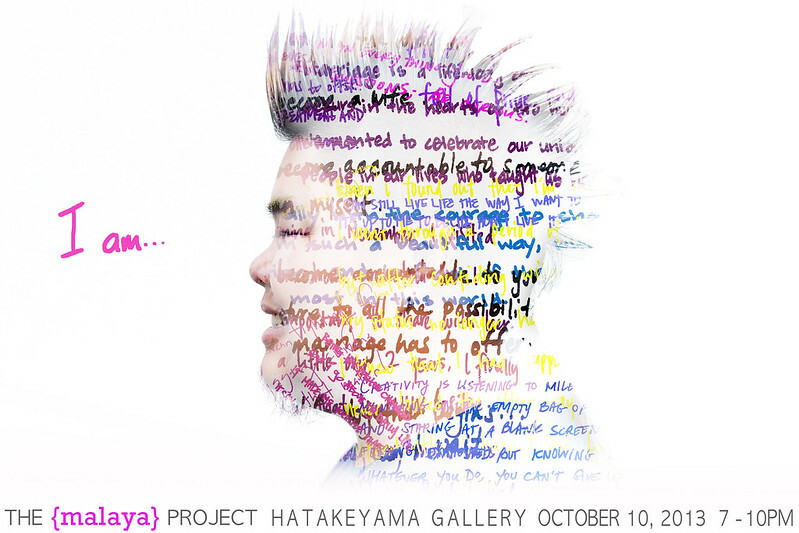 A photography project highlighting the lives of diverse proud gay, lesbian, bisexual, transgender and queer Filipino/as. 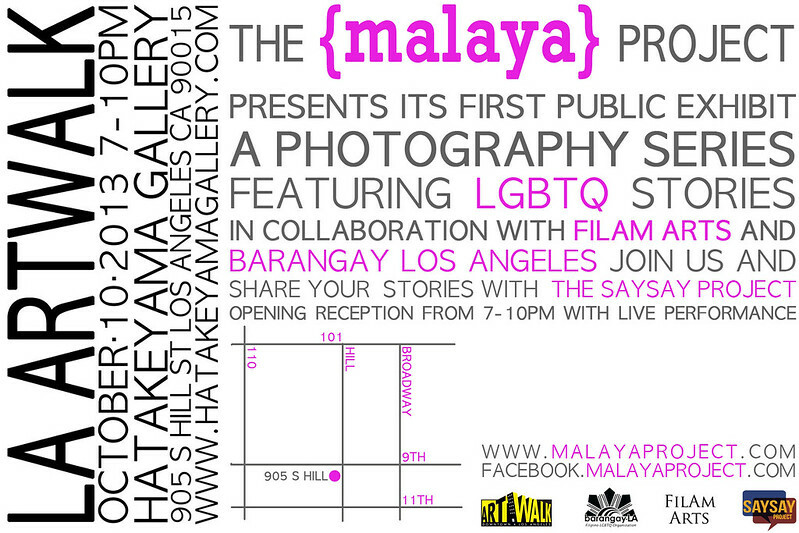 Come celebrate with The Malaya Project as we launch our first public exhibit. Be a part of sharing your voice and your stories with the biggest Downtown Art Walk night in California! to represent the diversity of our LGBTQ community. In collaboration with FilAm Arts and Barangay LA, expect to have a great time! giving you the chance to share you story in the middle of the gallery. Oepening reception from 7-10pm with music and drinks.